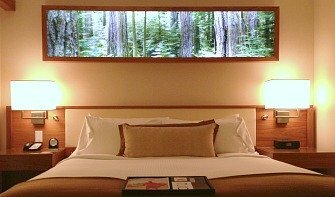 Our Romantic Getaway in Wisconsin Guide for a Great Stay in the Badger State! Plan a romantic getaway in the Great Lake state of Wisconsin, and you're in for a "Superior Vacation". 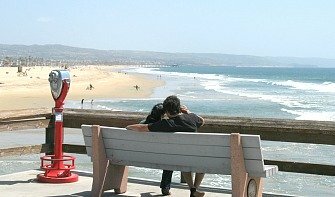 There's a variety of Wisconsin destinations that couples will enjoy, including some romantic places to visit in Door County, the Wisconsin Dells, along Lake Superior's shore, and Milwaukee. The Best Time to Visit Wisconsin: Summers are short, so the best time to visit Wisconsin in July to September. October is a fine month for seeing the autumn foliage. Scenic Drives: One of the best Wisconsin scenic roads is Route 33, a scenic drive that takes you through beautiful farm land and several Amish communities in Wisconsin. You’ll find this road in southwest Wisconsin between La Crosse and Reedsburg. The Dells are one of the biggest tourist attractions in Wisconsin. The natural beauty of the canyons along the Wisconsin River makes a Dells Boat tour worthwhile. Another Wisconsin Dells attraction is Mirror Lake State Park, a fine place for a romantic picnic and relaxing camping spot. Wisconsin Dells Romantic Cabins & Villa Vacation Rentals - If a little more serenity is what you had in mind, check out these cabin, cottage and villa rentals. 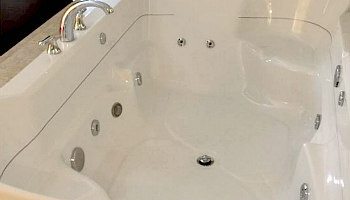 Many offer amenities like whirlpools, fireplace and a sauna, and are perfect for a romantic getaway in Southern Wisconsin. Romantic Getaway in Wisconsin Dells Resorts - For active couples with kids (or those without but don't mind being around kids!) 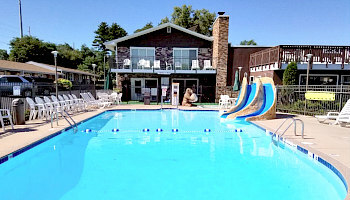 who also love water, the Dells are home to a number of huge indoor and outdoor water park resorts. There’s the Kalahari Wisconsin Dells Resort, with the largest indoor water park in the U.S. and Treasure Island Wisconsin Dells Resort, just to name two. But...it's not quite what you might think. RedBox, the DVD rental company, took a survey of rental statistics, and found that the residents of both La Crosse and Green Bay rented more romantic movies per capita than anyone else in the country! Our HD Video of a Romantic Getaway in Wisconsin will quickly show you several areas in Southern Wisconsin ideal for a romantic weekend or anniversary vacation, including Madison WI, Milwaukee and the wonderful community of Lake Geneva, WI. 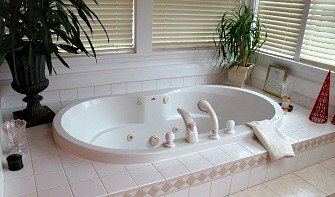 Wisconsin Dells B&B's - the Dells are known as one of Wisconsin's premier romantic bed and breakfast destinations, and are a quiet alternative to hotels and resorts. Sundara Inn and Spa - a romantic adult-only Wisconsin destination spa resort that’s getting rave reviews from many. Romantic Wisconsin Dells Package at Baker's Sunset Bay Resort - on the shores of Lake Delton WI, the Sunset Bay resort caters to couples on anniversaries or honeymoons with their Ultimate Romance Package: champagne & chocolates, gift certificate for an Italian restaurant, theme park, water park and movie tickets, and 2 nights accommodation in one of their Whirlpool suites. Rest, Relaxation, Recreation & Romance - Wisconsin's Door Country Has all Four! Imagine “Cape Cod on the Great Lakes”, and you have Wisconsin Door County! This compact peninsula northeast of Green Bay is a romantic playground of scenic drives, waterfront villages, picturesque shoreline with lighthouses, and some charming Wisconsin inns and lodges. 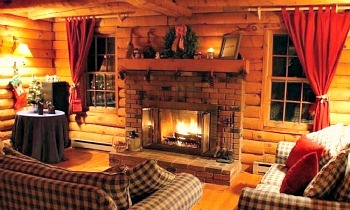 Great for a relaxing and peaceful romantic getaway in Wisconsin. 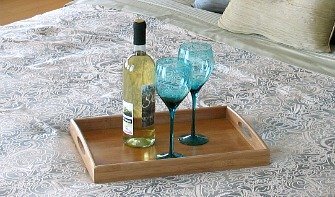 Eagle Harbor Inn - Ephraim is a very attractive Wisconsin Door County honeymoon destination, with its pretty harbor and many gorgeous B&B’s, like this Inn with their whirlpool tubs and Door Country Wine Trail packages. Lake Geneva, WI - on a sunny summer day with the boats sailing by, this is a perfect romantic getaway in Wisconsin. Take a stroll lakeside on the Geneva Lakeshore Path past historic waterfront mansions, do some window shopping on Main or Broad St, or just grab an ice cream cone and soak up the atmosphere. A couple of fun things to do in Milwaukee would be the Miller Beer Brewery Tour (free tour and tasting in the beer garden!) and the Milwaukee County Zoo. Also, the Milwaukee Art Museum has works from artists like Picasso, Warhol and O’Keeffe. Romantic Milwaukee Restaurants: Bartolotta's Lake Park Bistro (3133 E. Newberry Blvd. Milwaukee 414-962-6300) has French Bistro cuisine considered some of the cities finest, and great views of Lake Michigan. Also rated high for romantic places in Milwaukee to eat are Sanford (1547 N. Jackson St, Milwaukee 414-276-9608) and the Pasta Tree (1503 North Farwell Avenue, Milwaukee 414-276-8867). Couple Relaxing on the Shore of Lake Monona in Olin Park, Madison WI. Madison, WI - this medium size city of 240,000 is a worthwhile destination if you are in or headed to Southern Wisconsin or Northwest Illinois. One of the best romantic attractions here is the lakefronts - that's right, plural! 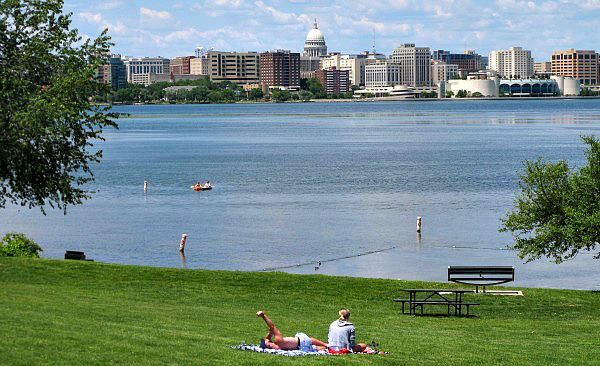 Madison has several lakes within it's boundaries, the largest two being Lake Monona and Lake Mendota. We found a nice spot for a picnic in Olin Park, on the western shore of Lake Monona. Plenty of walking and cycling opportunities nearby as well. If you don't want any grass stains while eating lunch, go upscale a bit and follow John Nolen Dr into the city and look for Monona Terrace (1 John Nolen Dr, Madison, WI). With it's cafes, rooftop terrace and scenic views all around, it's certainly one of downtown Madison's most romantic places for 2. Beloit WI - funky and gentrified Beloit is a surprising home to more than it's share of art, bookstores and live theatre. You can also walk or hire a couple of bikes or paddle boats and enjoy the Beloit RiverFront.